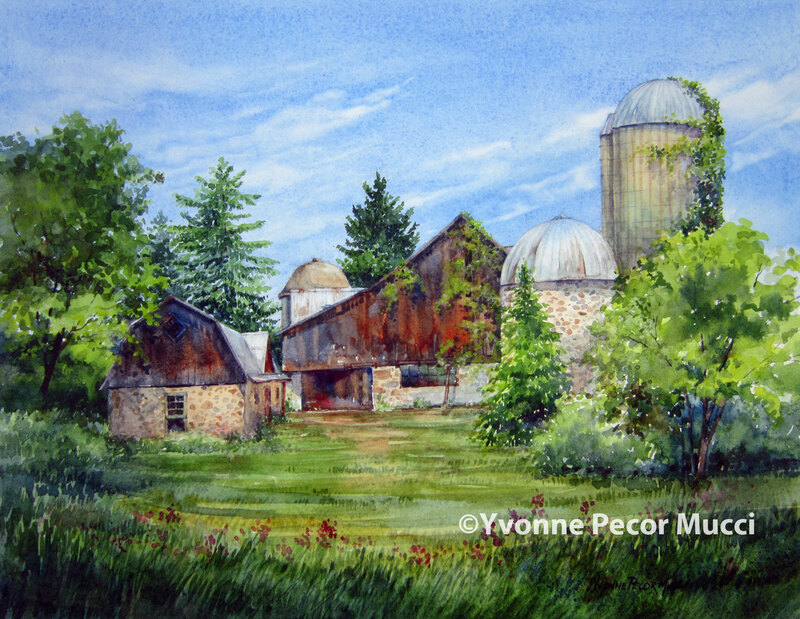 “Pleasant Valley” watercolor was painted for the 16th Cedarburg Plein Air competition in Wisconsin. So excited when I scouted the day before and came across this property. It had everything an artist wants in a subject. Fieldstone, silos, different shaped buildings, and fabulous light. Lucky for me that the owner had recently cleared out the brush in front of the barn. I’m sure it will look different next year because it is under renovation. To me, it was perfect just the way it sits. I could spend a week painting different scenes at this farm. 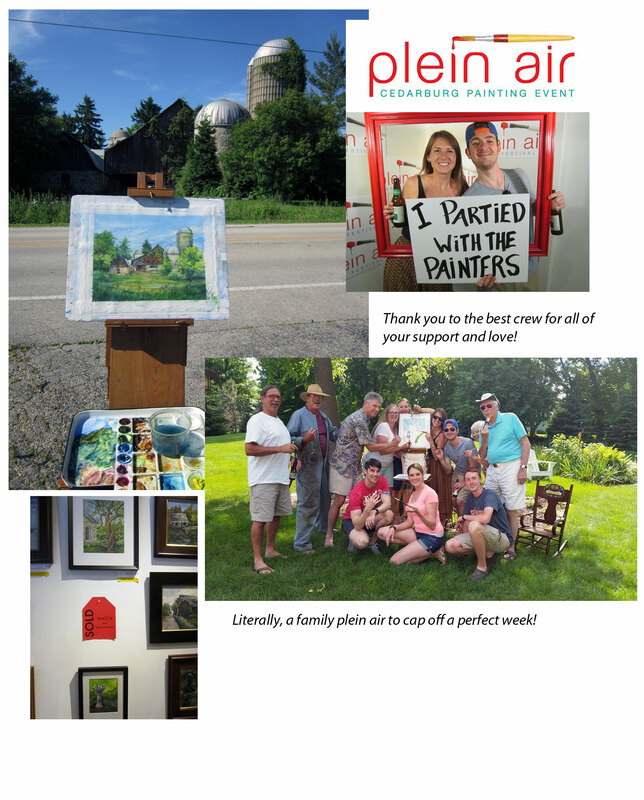 The Cedarburg Plein Air event is always fun. Great town, great artists, and great hosts!